Lampadina is a clear globe lamp partially sandblasted to diffuse the light. 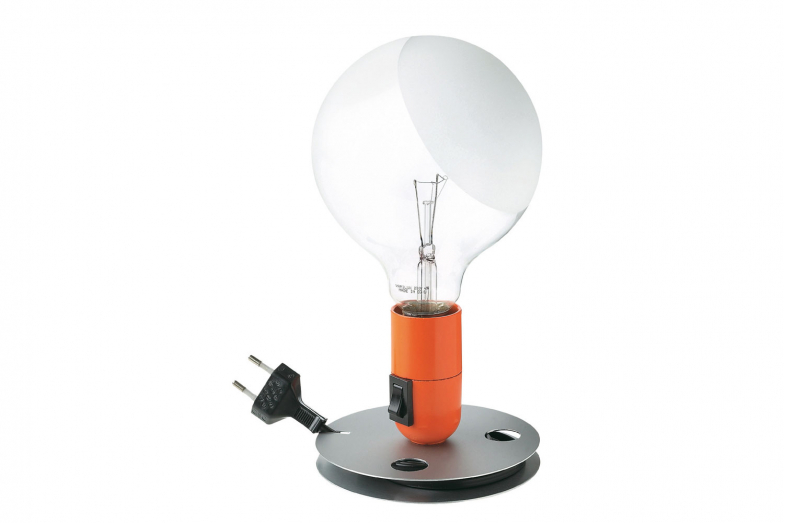 Designed by Achille Castiglioni, it comes with an anodized aluminum base that serves to contain excess power cord. Like a large light bulb that sits upright, lighting can be switched on and off on the holder at its base.